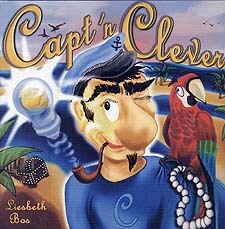 Captain Clever's simple rules will take the fearless mariners on an exciting, action-paced adventure. The goal is to plot the best course and bring back intact a vessel filled with a booty of gold and jewellery. Unfortunately, your neighbour is the one who controls the itinerary; each player has to use their best pirate talents to send the others on the longest route possible!